Is this the Tesla of motorbikes? Is this the Tesla of motorcycles? An Italian company is determined to become the Tesla of motorcycles. The Modena-based Energica Motor Company makes all-electric racing bikes that can go from 0 to 60 in under three seconds, and reach a top speed of 150 miles per hour. If you don't know much about motorcycles, three seconds is pretty good. The company started selling its first models just a few weeks ago. So far it has sold 10 bikes, for prices ranging from 25,000 euros ($28,500) for the standard "Ego" model, to 45,000 euros ($51,349) and more for the luxury limited edition "Ego45" model. The bike's battery gives it a 100-mile range, and can be recharged to 80% of its capacity in 30 minutes. Despite its all-electric motor, it's not completely silent. "It has its proper sound due to the mechanics of the motor," Livia Cevolini, the company's CEO, said. "It sounds like a strong whistle: many people have compared it to the sound of a jet," she added. 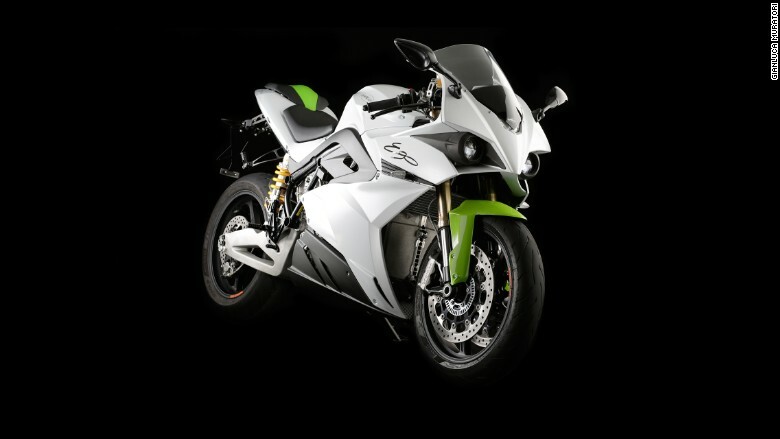 Energica is hoping to get a boost from the electric vehicles craze, sparked by Tesla (TSLA). "Tesla is proof that there is room now more than ever for new brands once that technology is demonstrated," Cevolini said. The company announced it is aiming to go public before the end of the year, hoping to raise funds to invest in production and marketing. It intends to list on the AIM market, a sub-market of the London Stock Exchange. Energica is a subsidiary of engineering company CRP Group, which manufactures parts for companies in many different sectors, including defense, medical technology and aerospace. Its engineers have worked on parts supplied to Formula One and 24 Hours of Le Mans cars. 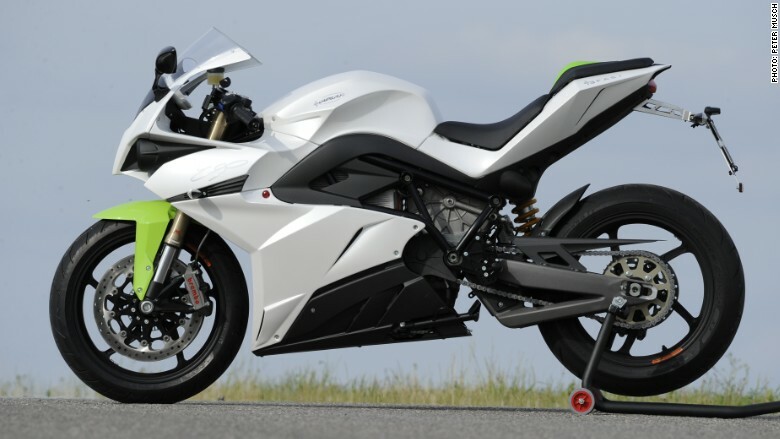 The electric sportbikes market is still in its infancy, with only a handful of makers producing high-power motorcycles. Harley-Davidson unveiled its first electric bike last year, and Yamaha said its first electric motorcycles would become available in 2016.